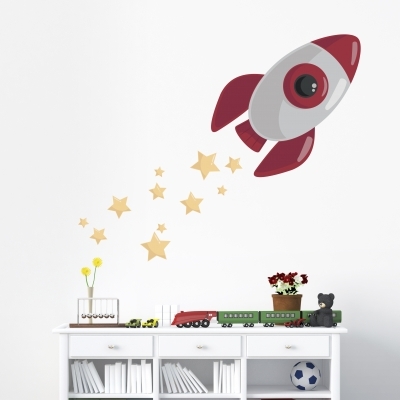 Tour the galaxy with this Blast Off Rocketship Printed Wall Decal. Easily removable and reusable! Each kit comes with 20 stars.